This well-respected program gives your students the skills they need to stand up to peer pressure, avoid risky behaviors, and develop the resilience they need to handle the changes they'll face during their school years...and throughout their lives. Real-world, hands-on activities integrated throughout the program allow students to practice and apply essential health skills. Reading and writing strategies help students with comprehension and give numerous opportunities for writing practice. 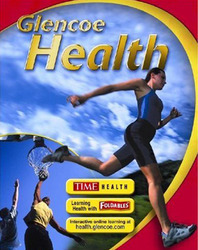 The high school text in Glencoe and Macmillan/McGraw-Hill's K-12 health program along with Teen Health Courses 1-3 (middle school) and Health & Wellness K-5 (elementary school).